There are some fab events happening this weekend - many that only happen once every year! We are spoilt for choice. If the weather is pleasant don't forget to check out our Top Picnic Spots in Northumberland and Family Friendly Beer Gardens to try. Join Cherryburn in their garden and see how well your dog does in the special activities. No need to book - admission charge applies. Arena events which can be humourous, educational or historic with a huge variety of engines taking part. Entry is £5 per adult, £2.50 per child and under 5's are free. Also gives you access to Preston Hall Museum. A unique chance to discover the 27 acre Blagdon estate as it opens to the public. There will be stallholders and trailer rides too. Let me know in comments where you are heading. 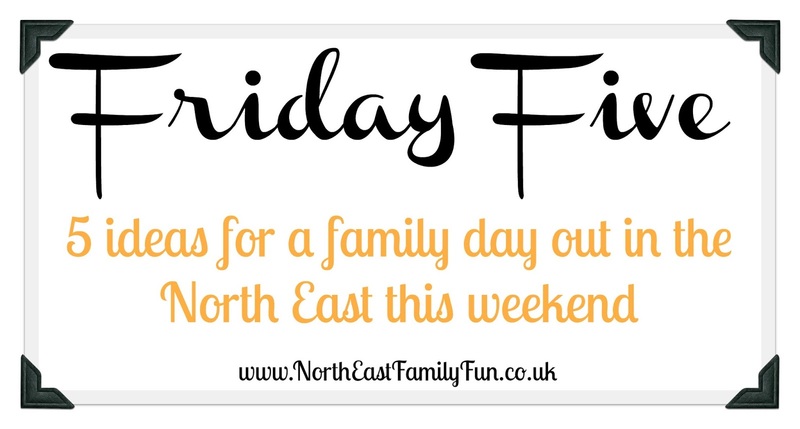 Why not join North East Family Fun Community which is a Facebook group where you can ask for days out recommendations or advice. We are heading to the Chalk Scandi-rave-ia event at Tyneside Cinema.